In the southern waters of the Dutch Caribbean, twenty-eight miles from St. Maarten, is Saba (pronounced "Say-ba"), a small, tropical paradise. 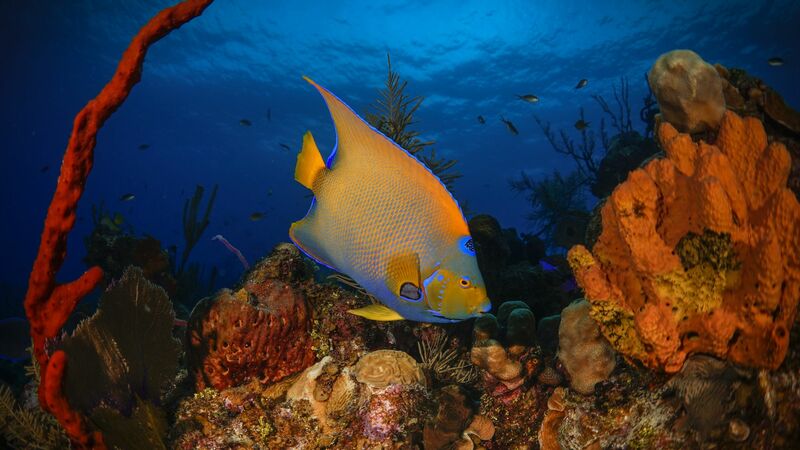 Among scuba divers, it's well-known for its rich marine life, but outside of this circle of enthusiasts, few know it exists. Which is one of the reasons it's so special. 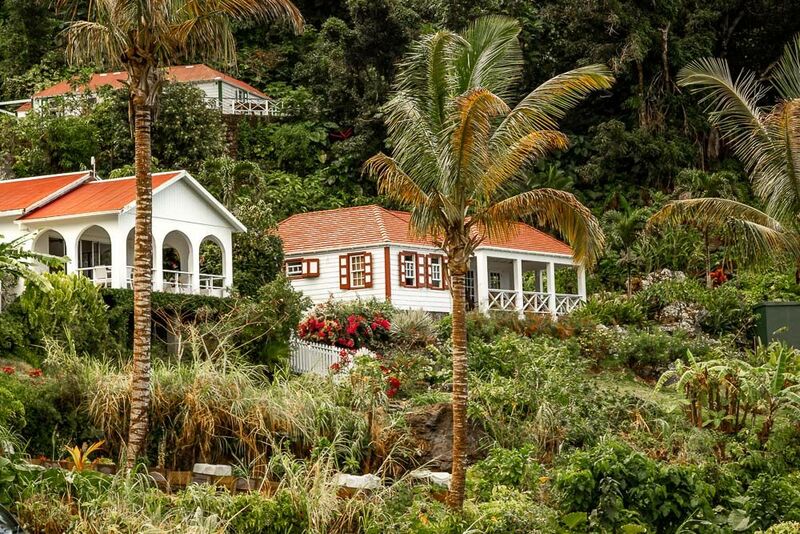 Islanders call Saba “The Unspoiled Queen of the Caribbean” for its pristine landscapes and striking biodiversity as well as the absence of crowds, chain stores, and cruise ship throngs. Not to mention, the friendliest locals you’re likely to come across. Wander the narrow streets and within hours you’re chatting with people on a first name basis. Spend a few days and you’ll recognize extended family. “Seldom have I felt so welcomed into a community; a simple hello can turn into a 30-minute conversation on the corner,” says Sherry Ott, a travel writer with 70 countries and all seven continents under her belt. This genuine congeniality is as intrinsic to Saba’s 2000 residents as the island’s grandeur. Many have ancestries which date back to the mid-1600s when the Dutch first landed. Over the next two hundred years, they vied for control with the Spanish, French, and English leaving a tangled web of familial ties still entwined today. The community is so close (literally and figuratively) crime is virtually non-existent. To reach the island requires a 90-minute ferry from St. Maarten or the 12-minute flight most tourists prefer. Not because it saves time necessarily, but for bragging rights. 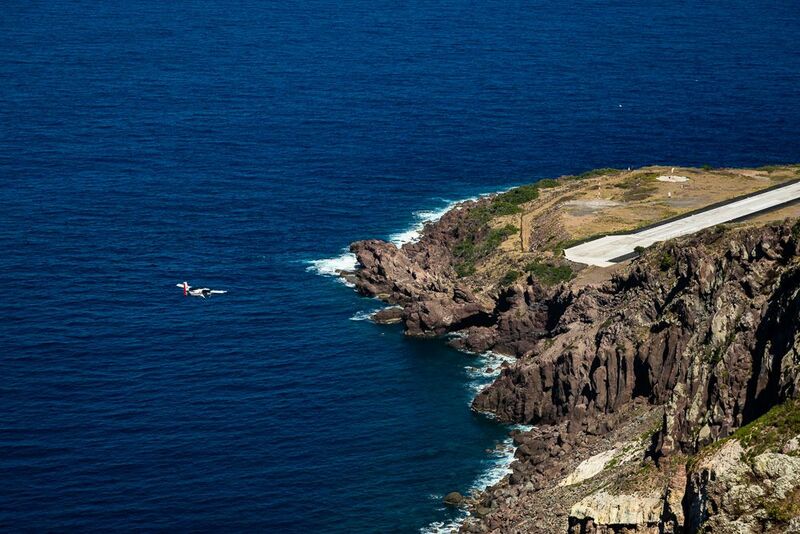 Saba’s Juancho E. Yrausquin airport boasts the world’s shortest commercial runway at 1300 feet. Built on a tiny peninsula, the implications of its diminutive footprint are simple: if the pilot errs the next stop is the ocean. When you land safely, you’ll be amazed how quickly the 17-passenger de Havilland Twin-Otter decelerates without the feeling you’re going to fly face first into the seat in front of you. Exiting the airport, you must take a taxi and that’s a good thing. The 15 drivers on the island provide more than transport, they’re an amalgam of cabbie, tour guide, historian, and concierge. If you have questions about outfitters or locations, they’ll have an answer or whoever does on speed dial. Moreover, they know how to navigate the island’s quirky bits. 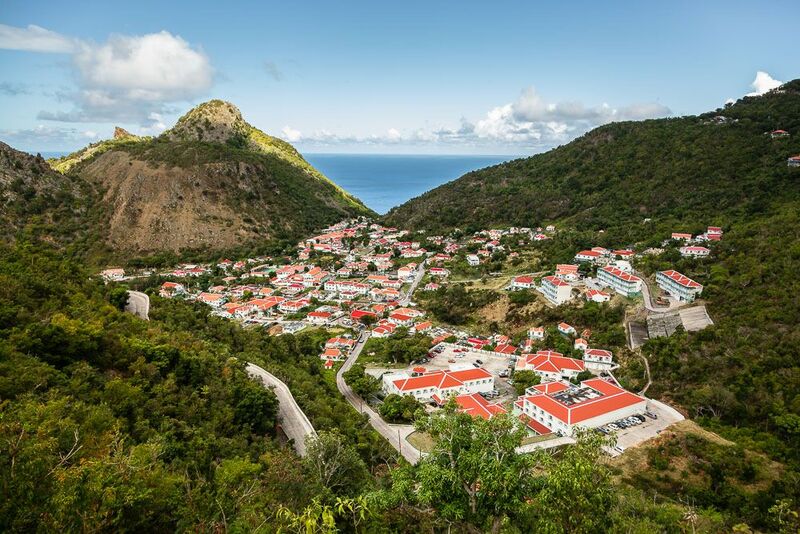 Case in point: Saba’s one and only main thoroughfare: “The Road.” It connects the airport in Hell’s Gate with the three other Dutch colonial-style villages—Windwardside, St. John, and The Bottom, Saba’s capital—terminating in Fort Bay Harbor on the far side of the island. The journey is an exhilarating rollercoaster ride of forty-five-degree inclines, descents, and tight hairpin turns. The first ascent leading to Zion Hill dishes out 23 snake-like curves on its own. 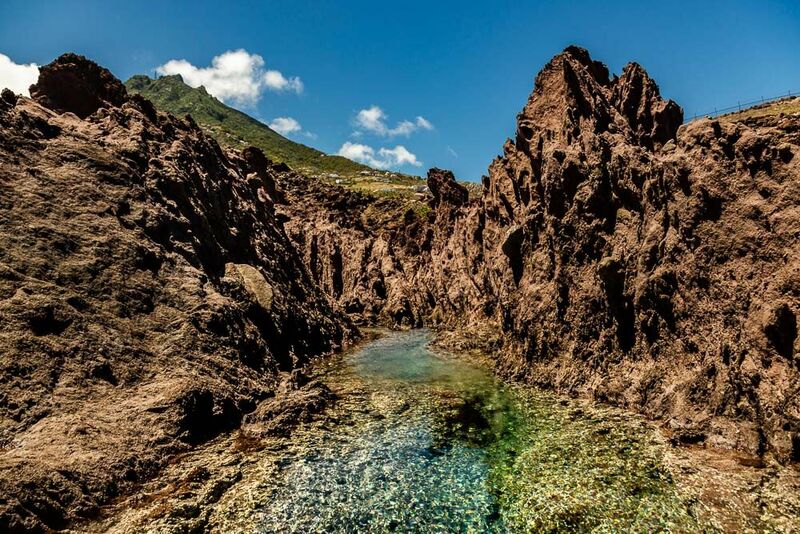 Don’t bother looking for stoplights or stop signs, there aren’t any but what you do have is a front row seat to Saba’s stunning scenery. Not far from the airport is Windwardside -- home base for most travelers. Wall-to-wall gingerbread-style buildings sporting red-sloped roofs and white-washed exteriors—a standard convention throughout Saba. Steep, narrow side streets connect homes on hilltops and cliffside perches in neighborhoods with curious names like Booby Hill and The Level. Here you’ll find a collection of casual independent hotels, gift shops, dive shops, the Trail Shop (for up-to-the-minute info on conditions), and restaurants within steps of each other. Moreover, at 1,312 feet above sea level, it’s blissfully cool on hot sunny days. 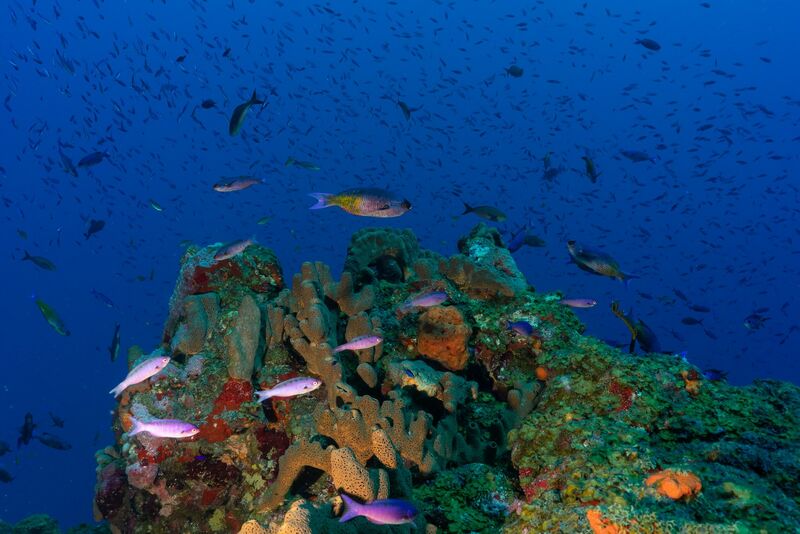 few islands in the Caribbean are as biodiverse as Saba for its size. In one day, It’s possible to explore the cloud forest in the morning then scramble a lava flow in the afternoon—though why rush? Hikers have 24 trails with different topographies and skill levels to choose from (maps are available at the Trail Shop in Windwardside). 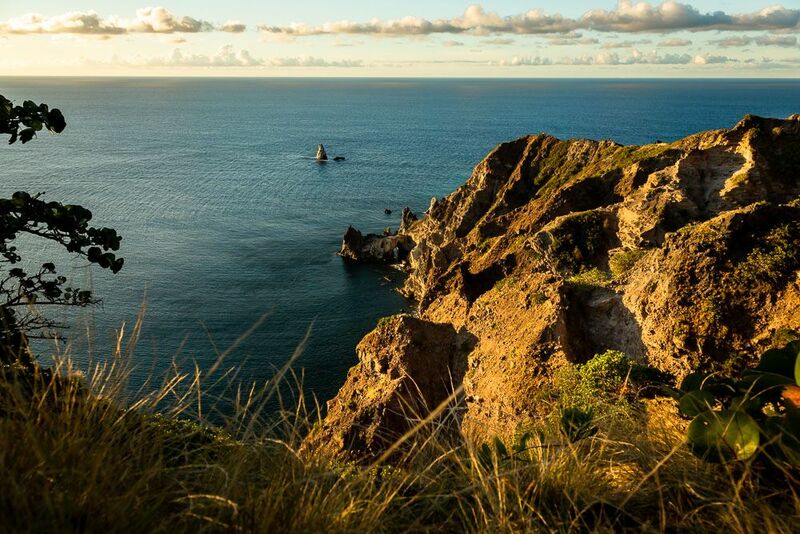 All are self-guided save one, the North Coast path. Apparently, says Kai Wulf Director of Parks at the Saba Conservation Federation (CSF), it has a habit of “disorienting people”, necessitating a guide. The Sandy Cruz trail, a historic route used by the colonists before The Road was completed in the 1950s, is 2.5 hours (one-way) of verdant rainforest reminiscent of Jurassic Park. Plenty of hills and switchbacks make it a workout but the scenery is so pretty it’s worth the effort. The most popular route is the 1064-step glute-burning stairs of the Mount Scenery Trail leading from Windwardside to the cloud (or Elfin) forest at the summit. Just shy of 3,000 feet, it’s the highest point in the kingdom of the Netherlands. Save at least one trail for James “Crocodile” Johnson, 69, a genuine lovable guide and trail manager who can tell you all you want to know about the flora and fauna -- with a fondness for storytelling. Accompany James to Mary’s Point and find yourself among the ruins of his ancestors who colonized the spot in 1665. Though nearly reclaimed by nature, some foundations, cisterns, and a few graves remain. You’ll also want a guide for the coastal tide pools. You can go alone but there’s no official trail and the journey requires a fair amount of scrambling over jagged lava flows. For discovery of another kind, keep your eyes peeled for the rare Saban green iguana, an endemic species which appears black and sunbathes on the concrete guardrails near Zion Hill. 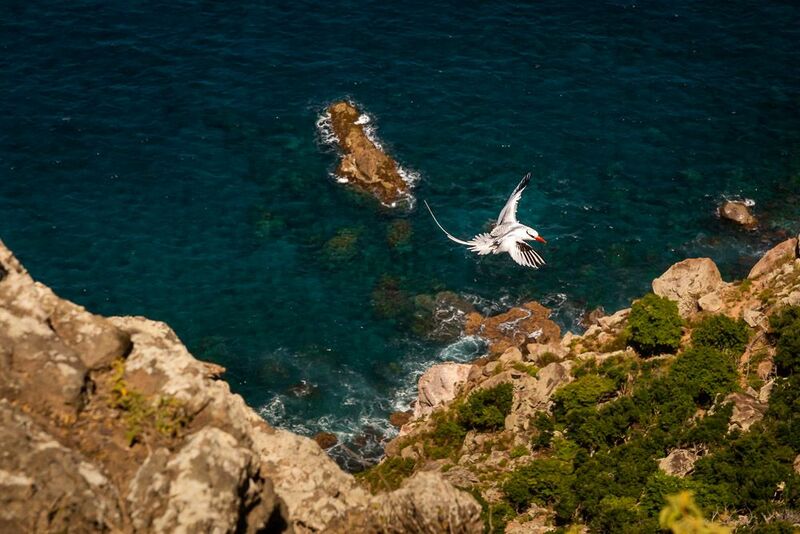 Not endemic but beautiful is the red-billed tropicbird which nests in the oceanside cliffs. During breeding season, researchers estimate nearly 10 percent of the world’s population is found here. And then there’s the goats. At some point, you’ll come across a goat or ten during your stay. Historically, goats were big business on Saba but when fishing and tourism took over the population exploded. The only time you’ll see a Saban scowl is when a goat appears. Venturing into the sea, Saba waters are blessed with high visibility and one of the healthiest marine populations on the earth according to the World Ocean Index which gives it 97/100. 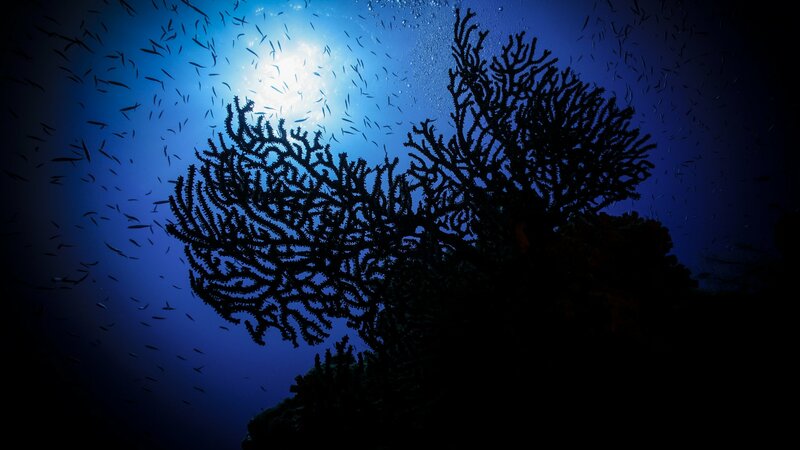 In 1987, the CSF preemptively established the Saba National Marine Park which circles the island to a depth of 200 feet, encompassing twenty-six dive sites. 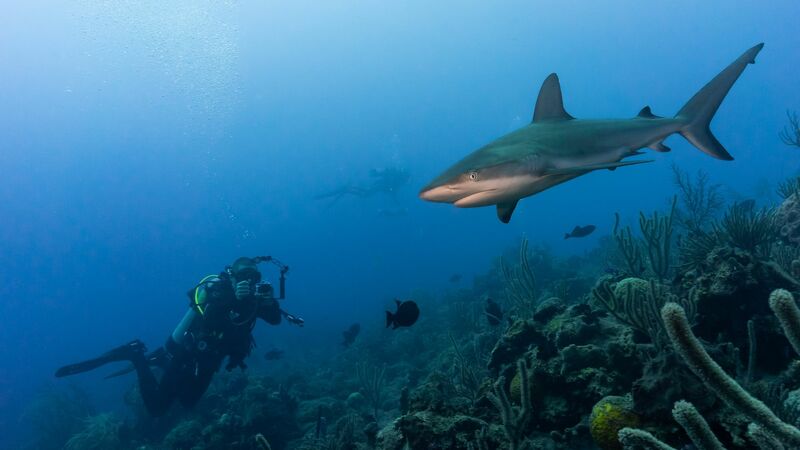 One hundred and fifty species of fish thrive here including great barracuda, tarpon, parrotfish, and five species of shark. 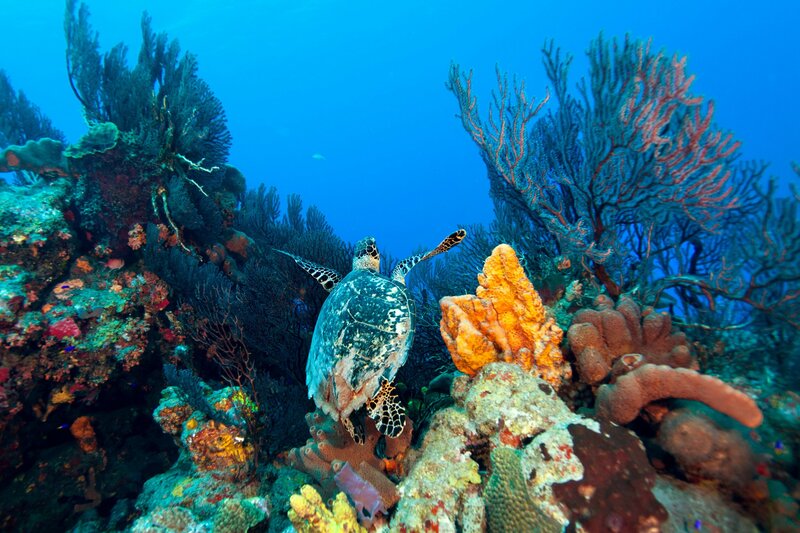 Green and hawksbill turtles are frequent visitors as are Nassau Grouper, extinct elsewhere in the Caribbean. Exploring, it’s not uncommon to observe pinnacles so encrusted with corals, sponges, and sea fans, you can’t see the rock underneath. Pinnacles, drop-offs, tunnels, and caves are just a few of the volcanic features you’ll encounter. Night dives are also on the menu. If you’re not keen on diving, snorkeling is also an option. Jobean Graham, whose Saba-inspired glass art jewelry and island-inspired figurines are sold at Kakona, offers half-day or full-day workshops in how to fire glass beads. In October, “Sea & Learn” is a month-long initiative that brings in scientists and naturalists from around the world to lead nightly happy-hour presentations and hands-on field projects geared to enhance environmental awareness. All the events associated with Sea & Learn are free and open to the public. In the evenings, head to Wells Bay and watch the sunset turn the cliffs to fire or grab a cocktail at the Tipsy Goat in Juliana’s Hotel. The hotel’s Tropics Café serves a delicious fresh spiny “Saban” lobster or if you’re in the mood for romance, Brigadoon’s mix of continental, French, and Mediterranean cuisines in a historic Saban cottage is a village favorite. Afterward, it’s Swinging Doors, the local watering hole, for a nightcap then bed for a good night’s sleep. In the morning, your adventure begins anew. Susan Portnoy is an award-winning photographer, inveterate traveler and founder of the website, The Insatiable Traveler.